It is unclear who will play next to center David Krejci when Boston faces Toronto in the first round starting Thursday. BOSTON — In one way, the Bruins are in the same boat they were in when the season started. 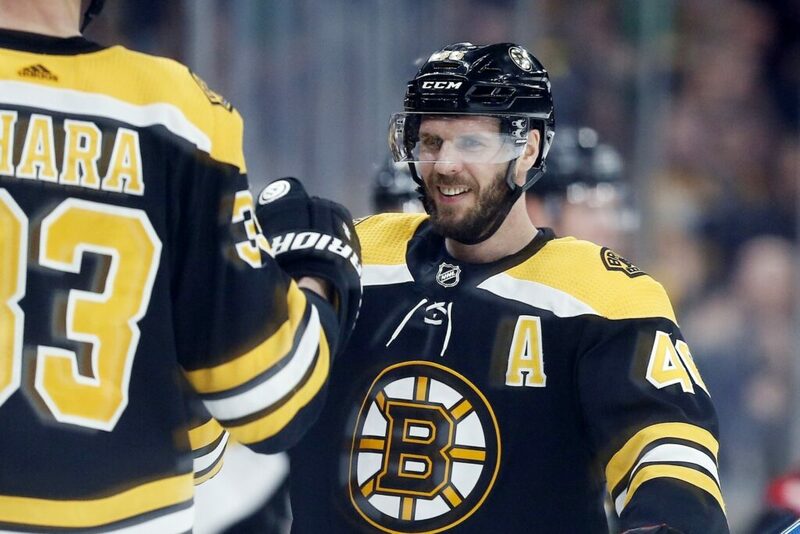 It is still anyone’s guess as to who’ll man the right wing next to David Krejci when the Bruins open their playoff series against the Toronto Maple Leafs on Thursday at TD Garden. And with that spot as yet unfilled, the composition of all the other forward lines is in question. If Cassidy chooses to keep David Pastrnak with Patrice Bergeron and Brad Marchand, it would be hard to argue with him. That trio shredded the Leafs last year for a combined 30 points in the Bruins’ seven-game victory over Toronto. Should that be the path he takes, he could go a couple of ways to fill the second line right wing spot. Karson Kuhlman has played there of late and has not looked out of place, but that’s a big ask for a rookie with a handful of NHL games under his belt. Marcus Johansson played there when he was first acquired and appeared to be the answer. But he hasn’t played there much since coming back from the injury he suffered in his fourth game with the Bruins. It appeared down the stretch that Cassidy was fairly set on playing him on his natural left side and developing some chemistry with third-line center Charlie Coyle. Another option would be Danton Heinen, who has played all over the lineup, up and down, left and right. DRAFT: Jack Hughes will have a pretty good idea of where he’ll be headed after Tuesday night. The 15 teams that failed to qualify for the 2019 playoffs – or franchises that acquired the first-round picks of nonplayoff clubs – will participate in the lottery. The Colorado Avalanche, who open the postseason Thursday against the Calgary Flames, have the best odds of landing the first pick at 18.5 percent after acquiring the selection from the Ottawa Senators in the trade for Matt Duchene in November 2017. PANTHERS: Joel Quenneville – who is second on the NHL’s all-time victory list – was hired Monday to coach Florida, which started its offseason with a splash. It’s also a reunion, after Dale Tallon hired Quenneville to coach Chicago in 2008 and wound up watching him win three Stanley Cups there in a six-year span. WILD: Forward J.T. Brown was arrested on suspicion of public intoxication in Dallas hours before the Wild’s season finale. SABRES: As much as he enjoyed his season in Buffalo, forward Jeff Skinner isn’t going to rush into deciding whether to re-sign or pursue free agency following a career-best 40-goal year.